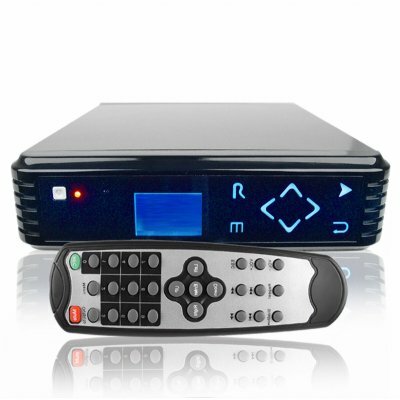 Successfully Added Touch Button HDD DVR Player - IDE Or SATA Hard Disk Storage to your Shopping Cart. HDD multimedia player for use as either a mobile hard disk storage device or as a digital player for your TV, and coming with such excellent features as touch button control and compatibility with 3.5 Inch SATA or IDE hard disks for ease and flexibility of use. With this superb wholesale HDD player you will be getting incredible connections possibilities, included S-Video, the ability to use this HDD player as a DVR with the CVBS and Audio IN recording and saving movies into a digital format, scheduled recording times, not to mention Chinavasion bonuses such as no MOQ and free blind dropshipping. Get this high resale item direct from the factory to your door with Chinavasion low wholesale price.